Anyone else a fan of samurai bad-asses? Well this guy is! This guy also happens to have a few drops of anime nerd in his bloodstream. So instead of picking up a shinai or donning kendo armor that I put outside in the summer as a sweat offering to the Japanese Gods of Stench, I chose to absorb myself in an oh-so-amazing short anime series by Kenchiro Watanabe. 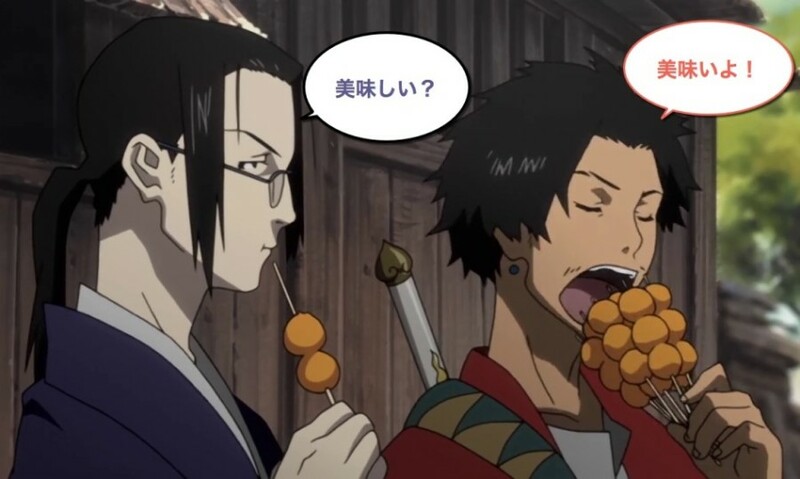 Some of you may know this anime quite well, Samurai Champloo. For those who may not know the story and who still want to see it (I HIGHLY RECOMMEND IT) I’ll try to give you the gist without any spoilers. Samurai Champloo is the story of a young girl named Fuu who is on a journey to find her father, the “Sunflower Samurai.” Her quest gets her into some rather sticky situations and eventually gets her into one that she can’t handle on her own. Luckily her path crosses with two, extremely talented swordsmen who, while equally skilled in the ways of the blade, couldn’t have more different personalities. Long story short, they don’t like each other. Despite this, Fuu finds a rather clever way not only to get them to work together but to have them accompany her on her quest. 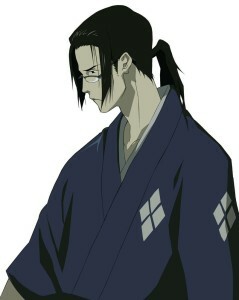 Jin is a rather solemn, rather stoic, young samurai who learned the ways of the samurai in the dojo. His master’s skills were legendary and Jin was his finest student. Jin’s technical swordmanship is almost unmatched. I guess that’s what years and years of honing your sword skills in the dojo will do for you. 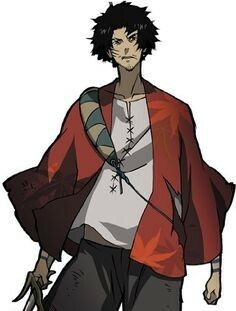 On the surface, Mugen is a brash, loudmouthed, selfish brute but is both tenacious and loyal on the inside. MUGEN’s sword fighting instincts are nearly unrivaled, even though he wasn’t traditionally trained. Mugen comes from the proverbial samurai school of hard knox. The skills that Mugen have acquired come from challenging people stronger than him and winning because of an uncanny ability to be unpredictable and to adapt to his opponents. WHAT DOES THIS HAVE TO DO WITH JAPANESE? So how exactly does this link to learning Japanese? When it comes to learning Japanese I think many students can find themselves falling into one of two categories. Ones who acquire their knowledge in the classroom (textbooks, drills & exercises) and those who acquire the language through experience (talking to native Japanese speakers, being in social situations, and getting out there to make mistakes). While I know it may not be as cut and dry as classroom vs experiential Japanese, I do think Japanese learners have a style that they thrive in. If you’re all about practicing Japanese in the confines of a classroom, then we’ll say you teeter more towards being a Jin-type. And then we have the flip-side of this. If you thrive on being out and about, if you’re that person who loves nothing more than to slosh back a beer (soda or milk for non-beer drinkers?) and you genuinely enjoy of the thrill of trying to speak with Japanese natives using the basics you know. Even if you don’t fully understand them, even if they don’t fully understand you, you’re still going to try. You Japanese learn best by experiencing it. If you’re all about throwing your fears and cautions to the wind and just getting out there to speak Japanese, let’s say you’re more of a Mugen-type. Classroom learning can help you to truly pinpoint what you know and don’t know, tests and exams can be useful for that. In addition, if you have a teacher that makes the Japanese concepts crystal clear to you, your Japanese will grow faster than you could possibly imagine. The classroom is also one of the best places to whittle away at those Japanese skills that are going to take time to learn. For example, there are over 2000 Japanese kanji, and many of them have several different readings. Truly picking these up will take study time…period. Or another example is keigo (敬語), the honorific, formal-style of Japanese that can often sound like a different language altogether. “Classrooming it” is a surefire way to end up with spoken Japanese that sounds, well…like textbook (Believe me. I know firsthand). Purely classroom learning can also make you a little bit gun-shy in real conversations with native speakers. However if your classes focus on conversation practice too, the Japanese application curve (going from the classroom to live conversation) will be much smaller for you. The students who learn through direct application will have a marked advantage in speaking and listening. If you’ve ever watched a Japanese TV show or heard a conversation between natives on the train, what do you notice? Sometimes the conversations you hear don’t sound like textbook Japanese. The native speech comes out faster and far more casually. Over time, those who pick up Japanese by directly being a part of it will find that their Japanese sounds much more like native Japanese does, and that their ears are more well-adjusted to “real-deal” Japanese. Written Japanese is the biggest potential pitfall for the Mugen-type. 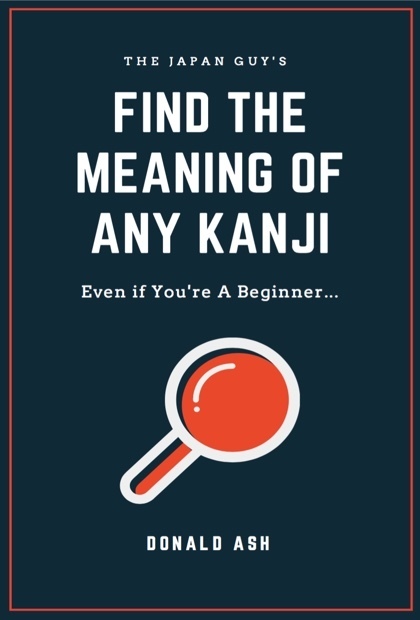 There are brilliant Japanese speakers who really struggle with kanji because if you don’t study and review it often, it’s darn near impossible to learn so many, and actually retain them. The ideal Japanese student would be a mixture of both these types. Imagine a samurai with the strengths of both Jin & Mugen (Jugen??? Jin + Mugen equals…ahh, never mind). Well in the show there is this guy…WAIT! NO SPOILERS!! YES, there are merits to classroom learning and YES, there are merits to experiential learning. Having both means that not only can you potentially master the aspects of Japanese that require loads of practice and review (like kanji and keigo) but you can also get out there and mix it up with the best of them when it’s time to have a real Japanese conversation. 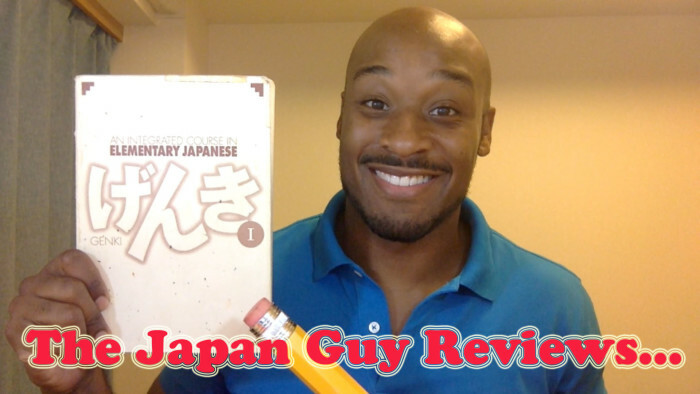 When it comes to learning Japanese, would you say you’re a Jin or a Mugen? Do you learn best by being in a classroom with other students? Or do you learn more effectively by just getting out there and trying? Please share your thoughts in the the comments section below. *Please don’t feel like there’s a right or wrong answer to this, or that it’s bad to be either type. THERE ARE MERITS TO BOTH TYPES. 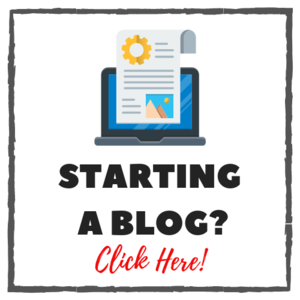 How Do You Start Learning Japanese?